If you live or have ever lived in a city, you are probably familiar with the feeling of waking up in the wee hours of the morning to the sounds of a garbage truck as it makes its way down your street. Not the most pleasant sound to wake up to, sometimes made even worse by the sinking feeling when you realize you’ve forgotten to put the trash out on the curb the night before. Now, what if you learned that noisy, polluting garbage trucks might soon be a thing of the past? And, what if phasing out these trucks saved your local garbage company money in the process? A garbage truck revolution might sound too good to be true for some, but for Wrightspeed, a San Jose-based company founded by Tesla cofounder Ian Wright, it might be right around the corner. The company is developing a technology that will allow medium and heavy-duty truck owners to retrofit their existing fleet and turn their trucks into range-extended electric vehicles. This means companies can keep their old trucks while making them cleaner, more gas efficient, and virtually silent. Since old heavy duty trucks also happen to be some of the dirtiest vehicles on the road, the Wrightspeed model can be good for public health, cutting costly greenhouse gas pollution and harmful particulate matter emissions. Who: Wrightspeed currently employs 25 people in California and is planning to hire an additional 250 people in the next three years as it expands production. 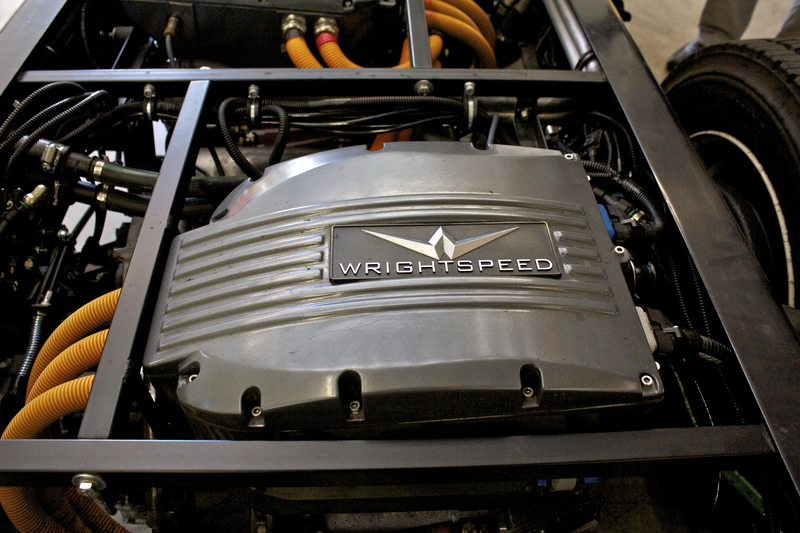 What: Wrightspeed manufactures electric powertrains that can be integrated into medium and heavy-duty trucks, significantly reducing the pollution they emit and making them virtually silent. Where: Wrightspeed is currently based in San Jose, CA, but is in the process of moving to a significantly bigger facility in Alameda, CA. Why: Wrightspeed’s pioneering technology is cleaning up some of the dirtiest vehicles on the road, helping the state reduce harmful greenhouse gas pollution and improve the health of California communities. Electric vehicles are a hot topic in California right now, as one of the important pathways towards a low-carbon economy, and Environmental Defense Fund (EDF) is striving to help figure out how to put more of them on the road. 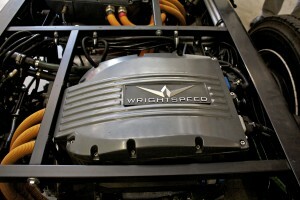 The Wrightspeed technology builds off of the traditional components of an electric vehicle system. The range-extended powertrain innovated by Wrightspeed uses a lithium ion battery, which holds electricity that moves the truck’s wheels. However, just using electricity stored in a battery will only get a truck 40 miles or so, not nearly enough for a garbage or delivery truck that typically follows fixed routes averaging three times that distance every day. To extend the vehicle range, the powertrain includes a turbine generator, which generates new electricity to recharge the battery. This isn’t just a theory. Recently, Wrightspeed signed a contract with FedEx to retrofit 27 of their delivery trucks and formed a partnership with the Ratto Goup, a Santa Rosa-based garbage collection company, to convert 17 of their trucks from diesel to electric drive. The Wrightspeed technology is helping this company comply with California Air Resources Board’s mobile sources emissions standards, modifying trucks that would likely otherwise have had to have been replaced by new vehicles: a good financial and environmental outcome. With more and more companies realizing the benefits of this technology and approaching Wrightspeed to retrofit their trucks, the company is expanding rapidly. They are in the process of moving from their San Jose facilities to a much bigger space in Alameda, California and are expanding from 25 employees to over 250 to meet the growing demand. “California is really the only place where we could do this kind of work,” said Ian Welch, the Director of Business Development at Wrightspeed, citing the state’s climate policies and innovative spirit as important reasons why the company decided to build its roots in the Golden State. With Governor Brown’s recent announcement setting the state’s 2030 reduction target at 40 percent below 1990 levels, it is becoming ever clearer that California will continue its transition to a low carbon economy, increasing the demand for technologies like this one. It’s a great example of how climate policies can help everyone win: Wrightspeed’s cleaner, more cost-effective trucks and cutting-edge technologies are developed and demanded to help meet the state’s pollution standards. And maybe, just maybe, city residents in California and elsewhere will be able to breathe easier and sleep in a while longer on garbage collection day.